The email server lists.lds.org, which is responsible for distributing private email newsletters to members of the Mormon religion in Utah, appears to be sending visitors to recent CollegeTimes articles highlighting Neumont University, a for-profit Utah institution that has repeatedly denied any affiliation with Mormonism. Neumont’s administrators and student employees have repeatedly denied any official, or unofficial, connection with Mormonism, despite all of Neumont’s founders (Graham Doxey, Scott McKinley, and Marlow Einelund) being Mormon, most of their faculty being Mormon, many of their apparent investors being Mormon, and despite a predominant student club existing on the small campus known as the Latter-Day Saints Student Association – a student organization officially affiliated with the LDS Church, and managed directly by the organization’s Orwellian Church Educational System. Out of the 19 academic faculty members listed on the school’s website, 5 are listed as having degrees from Neumont University itself, 5 are listed as having degrees from Brigham Young University, and 3 are listed as having no college degree at all. Neumont, a privately-run computer science institute currently based in South Jordan, Utah, is planning a mid-2013 migration to a new property located in downtown Salt Lake City formerly owned by the Salt Lake Tribune newspaper. The Tribune, founded in 1870 as The Mormon Tribune and having emerged from bankruptcy in 2010, recently ran a story heavily criticizing CollegeTimes for refusing to remove negative reviews of Neumont posted anonymously by students – a story apparently published at the personal request of Neumont University CEO Edward Levine, leading to accusations of false reporting and conspiracy to which the Tribune has not yet responded. Emails sent to LDS.org requesting comment on this flurry of internet activity, and the Church’s apparently strong yet secretive interest in Neumont University (and CollegeTimes) despite public denials of any affiliation with each other, were not returned. 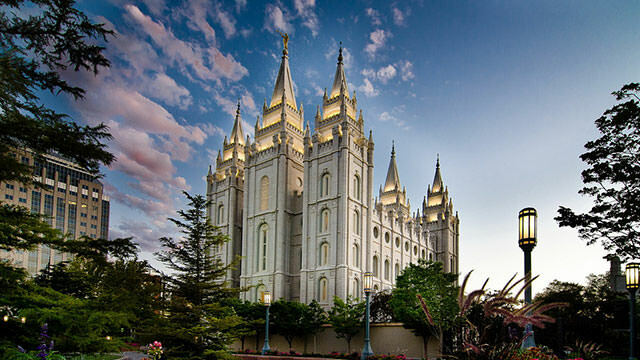 The Church of Jesus Christ of Latter Day Saints, founded in 1830 by Joseph Smith in New York, currently claims over 14 million members world-wide, including 55,000+ missionaries and 28,000+ congregations, across 176 countries and territories. Dude bro, I really don’t think the mormon church really cares. I mean I know that they own a block of the city but thats about it. I think they keep to themselves. Don’t really care honestly.